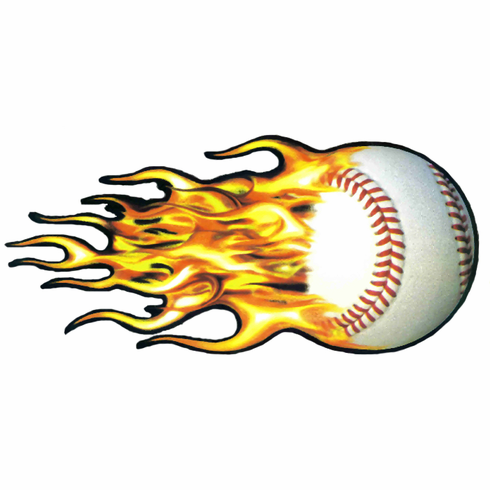 These Fire Ballz Baseball Stickers are great for your car or just about any surface. The HOTTEST way to show everyone you're a baseball fan. Large bumper sticker measures 11.25" x 5". Made in the USA.